The Jersey Teams will be hoping to repeat the recent home form of the last two Inter Insulars. In 2009 Jersey completed the 4-0 whitewash for the first time, and then were able to repeat this in 2011. Could they make it three on the trot?? Games will be held at haute Vallee School, the home of local volleyball starting at 9.30 and running through to 5.30, and spectators are not only welcome, they are nexessary to provide that local support and the 7th man on court! 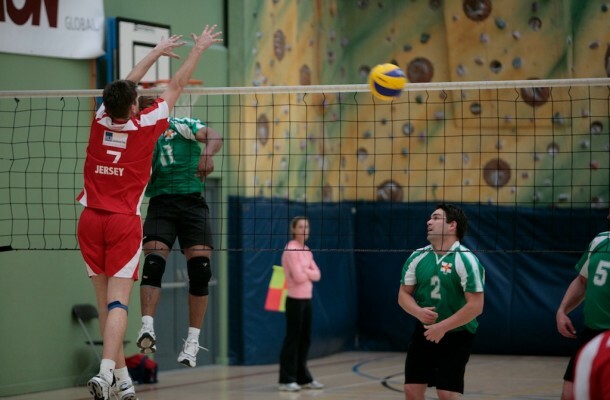 Two English National referees will be visiting Jersey to officiate the four matches; Joe Gore and Domink Biegajlo are regular visitors to the Island and are in the top echelon of volleyball officials. Coaches Dave Davies and Daniel Grigoras are hoping that their teams can play to their full potential on the day, and let’s hope that the day will be a celebration of what Jersey has to offer against their Sarnian counterparts. There is a balanced mixture in all the teams of new and more experienced players; some have played upward of 25 Inter Insulars, and some will be donning the Jersey shirt for the first time. Good luck to all the players and may they have an enjoyable but competitive game.